The man whose family is at the centre of a measles outbreak in Vancouver said he didn’t vaccinate his children because he distrusted the science at the time. In an exclusive interview with CBC News, Emmanuel Bilodeau said he and his then-wife were influenced by reports that linked the vaccine that prevents measles, mumps and rubella (MMR) with autism. “We worried 10-12 years ago because there was a lot of debate around the MMR vaccine,” said Bilodeau. “Doctors were coming out with research connecting the MMR vaccine with autism. So we were a little concerned.”?? The MMR vaccine prevents measles, mumps and rubella by helping the body make chemicals called antibodies to fight off the viruses. The BC Centre for Disease Control (CDC) recommends children receive two doses of the vaccine, one at 12 months of age and the second dose at five to six years of age. There is no scientific evidence linking the vaccine to autism, says the CDC. Bilodeau said he knows now the link between the MMR vaccine and autism has been debunked. “We were hoping we could find a vaccine that was given in a separate shot so it wasn’t such a hit on the kid,” he said. Bilodeau believes one of his three sons contracted measles during a family trip to Vietnam earlier this year and that it has since spread at the French-language schools his children attend. Dr. Althea Hayden of Vancouver Coastal Health (VCH) said on Friday Vancouver was facing an “outbreak” of measles after confirming eight cases affecting students, staff and parents at École Jules-Verne and École Anne Hebert in South Vancouver and École Rose des Vent in Oakridge.? Bilodeau brought him to BC Children’s Hospital on Jan. 21. He said medical staff were aware that the boy hadn’t been vaccinated, but they ruled out measles and instead conducted tests for malaria and influenza. His other two sons started showing symptoms soon after, but it took several trips to the hospital before it was determined measles was the culprit although Bilodeau says he mentioned the possibility to doctors. A spokesperson for BC Children’s Hospital declined to comment on this specific case but provided a statement by email. “Our physicians and staff thoroughly assess each child that presents in our Emergency Department and treat them accordingly. 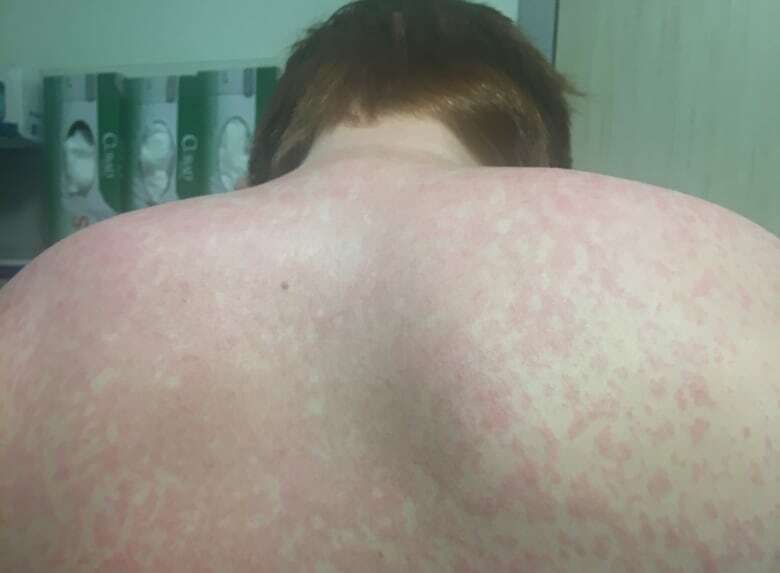 Should a parent raise a concern about a specific disease, including measles, it would be discussed and then followed up on as appropriate,” said the statement. A blood test ordered by VCH has since confirmed his youngest son has measles, and the other two are still waiting for confirmation, Bilodeau said. Monika Naus, medical director at CDC, said “vaccine hesitancy” among parents could lead to a resurgence of preventable diseases. “We’ve been concerned about that in British Columbia for a long time,” said Naus.?? Measles can lead to serious complications in some children, including pneumonia, encephalitis or death.